Winter activities are plentiful in the mountains of North Carolina, and if you seek a snow-filled weekend, Beech Mountain is a good bet. Skiing, snowboarding, snow tubing, ice skating — there’s lots to keep you busy here. Situated in North Carolina’s Blue Ridge Mountains, Beech Mountain has a peak elevation of 5,506 feet, making it the highest town in the eastern United States. That elevation makes for colder temperatures and more natural snowfall — the perfect combination for wintertime fun. Opened since the winter of 1967-68, Beech Mountain Resort is reminiscent of a quaint Bavarian village. 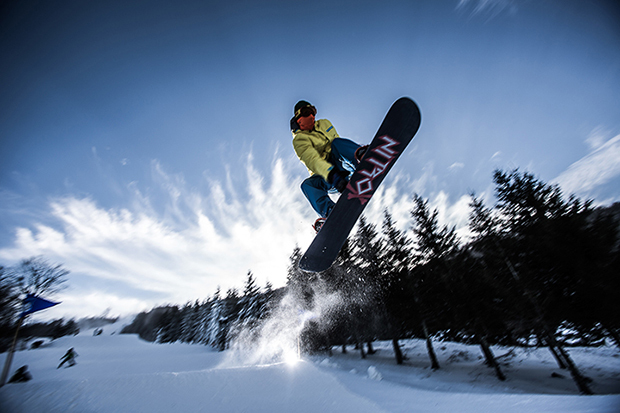 You can choose from 17 trails, which include a freestyle terrain park for freestyle skiers and snowboarders. There’s also a tubing park and ice skating rink located at the base of the slopes for non-skiers. 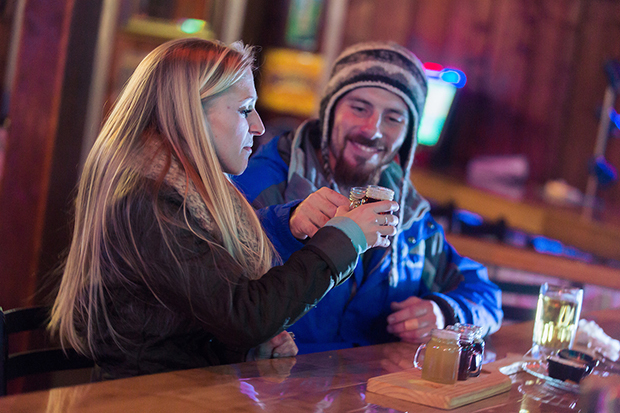 Located in Beech Mountain Resort’s Alpine Village, Beech Mountain Brewing Co. Brewhouse offers craft beers in an intimate atmosphere. Its stone fireplace and mountain lodge ambiance makes it the perfect spot to relax after a day on the slopes. You don’t have to ski to drink, though. The Brewhouse is open to the public during ski season and throughout the summer months. They produce small batches on-site and seasonal selections vary, but current options on tap include Beech Blonde, the Patroller’s Porter, 5506 Pale Ale and Juggler by Trade Brown Ale. They also host live music, trivia nights and other fun events throughout the year. Pop over to the Beech Mountain Brewing Co. Taproom and Grill (located next door) for appetizers, burgers, sandwiches and wings. 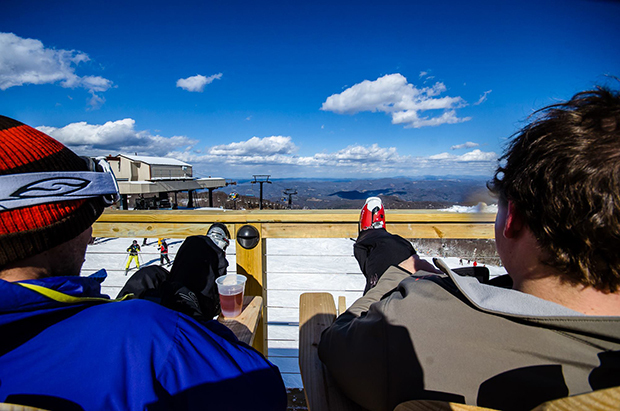 Other food and beverage options on the mountain include 5506’, located at the summit of Beech Mountain and boasting fantastic views of the Appalachian Mountains. Nosh on hot dogs, burgers and light bites paired with a cocktail or craft beer. While it may be tempting to spend your entire weekend at Beech Mountain Resort, you’d miss out on other charms this idyllic mountain town has to offer. Kids 12 and under can take advantage of a free sledding hill located next door to the Beech Mountain Visitor Center — and Visitor Center staff are a great resource for ideas on what to do while you’re in the area. 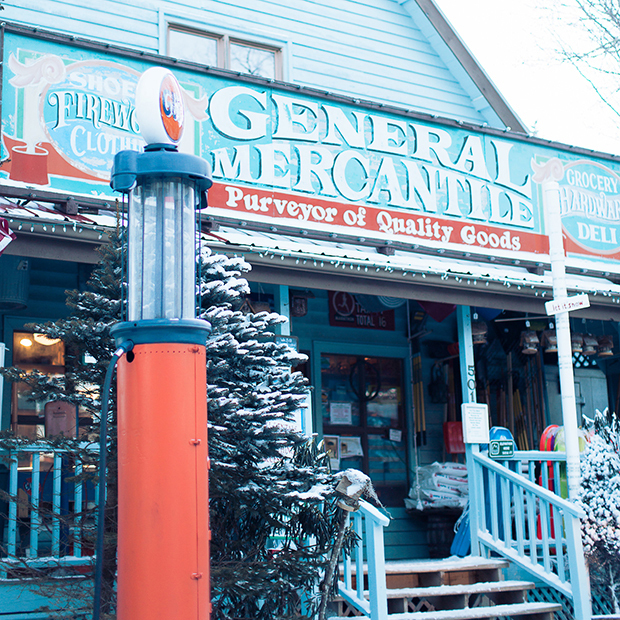 Down the road you’ll find Fred’s General Mercantile where you can peruse the aisles for everything from locally made jams and honey to clothing and firewood. Open every day of the year, Fred’s has met the needs of visitors and locals for almost 40 years. If you work up an appetite while you shop, just head downstairs to Fred’s Backside Deli for a meal. Breakfast items include biscuit sandwiches, eggs, country ham and a selection of sides. Salads, soups, sub sandwiches, burgers and other items are found on their lunch and dinner menus. Don’t miss a meal (or three) at Famous Brick Oven Pizzeria, a Beech Mountain go-to since 1988. An extensive selection of freshly baked pies like Greek, spinach, buffalo chicken, cheese steak and margharita make it very difficult to veer from the pizza path here. However, their brick oven sandwiches (veggie grinder, cheese burger, gyro, etc. ), beer battered onion rings, baked ziti and other pastas are definitely worth consideration. Another popular dining spot is Alpen Restaurant & Bar. Part of the Beech Alpen Inn, the restaurant serves varied lunch and dinner fare. Lunch specials feature prime rib sandwiches, grilled veggie wraps and seasonal soups. Dinner options like Asian Brule salmon, filet mignon and crab cakes make it a favorite for locals and visitors alike. One of the most popular weekends for the Town of Beech Mountain and Beech Mountain Resort is the Retro ‘80s Weekend. This year marks the eighth annual event and it will run from Feb. 21 – Feb. 24, 2019. Dig up those leg warmers and Members Only jackets for a full weekend of live music, a Galaga video competition, ‘80s trivia events, retro apparel contests and other “totally tubular” events. Land of Oz, Beech Mountain, N.C. While Beech Mountain is a magical place to spend a winter weekend, it’s a great road trip destination any time of the year. When the heat of a southern summer gets to be too much, cool down in the mountains. Temperatures in the Beech Mountain area rarely rise above 79 degrees. Also, the trails you swoosh down at Beech Mountain Resort in the winter become an impressive downhill mountain bike park. 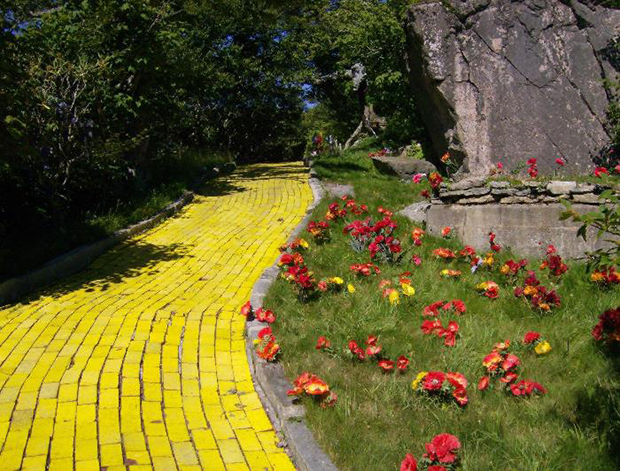 In addition, on select Fridays in June (Journey with Dorothy) and one weekend in September (Autumn at Oz), Beech Mountain is transformed into the Land of Oz theme park. Specific dates and ticket information for 2019 events will be announced early spring. Check out our AAA hotels page for varied accommodations in and around Beech Mountain to suit your needs, and book your stay today! Looking for more road trip ideas? Let these travel articles inspire you!